Full reviews for Dallas are coming soon. In the meantime, check out our reviews on Google and reviews from our San Diego, CA school. This is the headquarters for our system and where the owner of our Dallas School trained. "Before I started White Tiger Kung Fu, I was a flower... I started Kung Fu in the women's program, mainly for self defense. But with the regular physical activity combined with the teas, herbs and tonics, I've become more athletic than I've ever been... I feel amazing!" "The benefits of this place go beyond words. Something special happens here. You can feel it. Fun atmosphere. Good, pure-hearted students. The head instructors have more knowledge than you can ever imagine- about martial arts and life in general. My confidence has gone up ten-fold since joining two years ago (and at the risk of sounding egoic, I will say my confidence already was at a solid base). Kung Fu will definitely make you work hard and definitely humble you too. I still have so much to learn, but I can't imagine going forward in life (let alone in martial arts) without White Tiger Kung Fu and this school specifically. I feel fortunate to have found it. If you're interested in martial arts, trust your gut. You've found the right place. Come on in!" "Absolutely love training here. It's a very family oriented place. And the atmosphere is amazing. Just being here makes me feel at home. During classes we focus on many things from health, leadership, life coaching, focus building and so many other things. Each class makes me feel inspired to do my best each and every day. Pushing myself that extra 1%. Classes aren't challenging but they push you to your limit. That being said a brand new student off the street isn't going to be doing what the older students are. Workouts are tailored to each individuals abilities, while still getting to train in a group setting. Since joining I've noticed so many results in my life it's staggering. As it's said the proof is in the results." "Several years ago I found White Tiger Kung Fu while searching for a new martial arts school in the area. After some 20 years in other martial arts styles, I was knew what I was searching for. I found that and more at White Tiger. The instruction is top notch, taught by very experienced instructors. Whether you are an experienced martial artist or looking to try one out, this is the place to study. You be amazed at what you will find here. This is truly an art you can do for a lifetime." 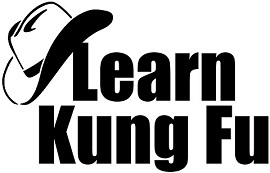 "If you ever find yourself saying things like... "I am too busy", "I am too stressed", "I am caught in the daily grind", "I feel like I am doing the same thing over and over each day", believe it or not, this Kung Fu School is the place for you. I am a busy professional that puts in on average 12 hour days and this school is the only thing that balances out my life and my marriage. Not only does it provide stress relief and allow me to be more centered, but it also has helped me to feel more confident and has given me necessary tools to defend myself if I ever need to. Every class is a little different so you get variety and there is always more to learn so you never get bored. If you are looking for something a little more from life, you owe it to yourself to check out this school!"